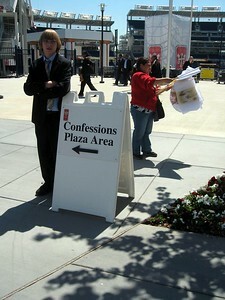 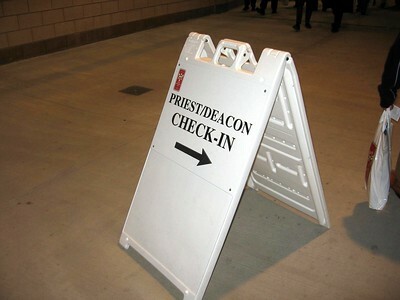 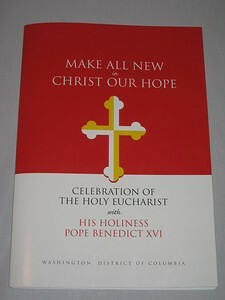 Sign directing attendees to the approximately 100 priests hearing confessions before the Mass. 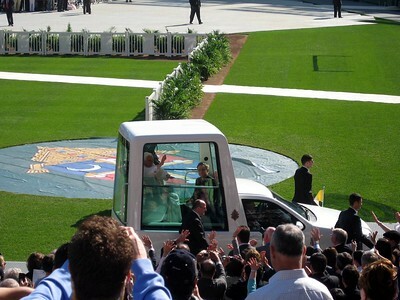 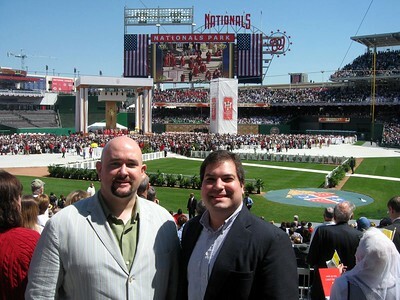 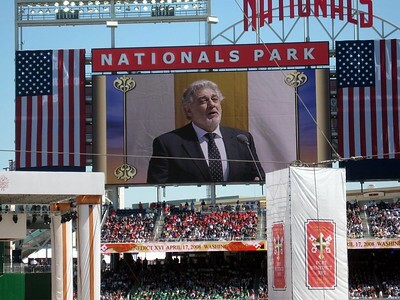 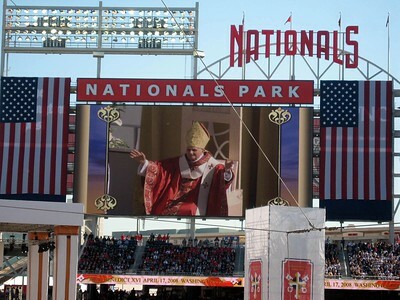 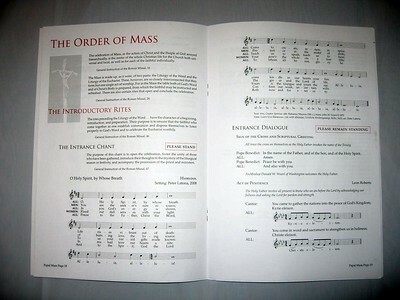 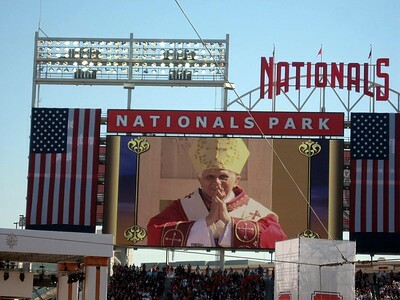 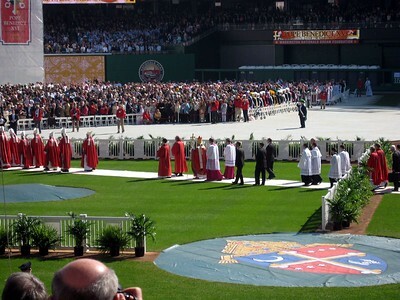 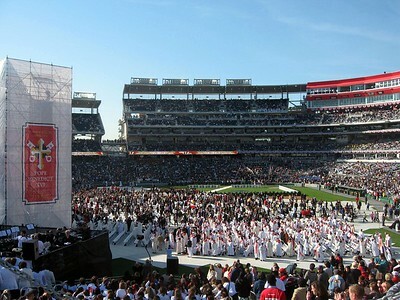 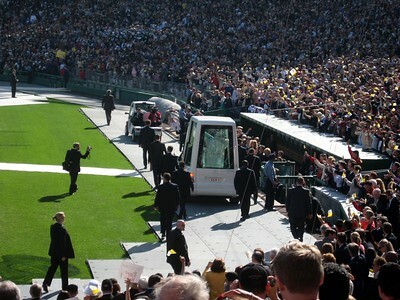 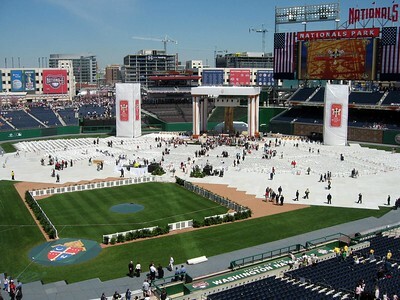 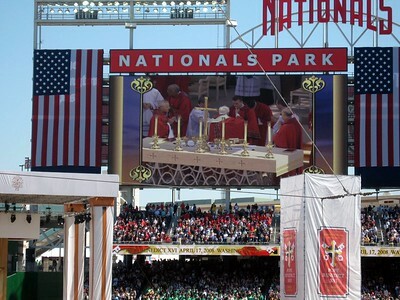 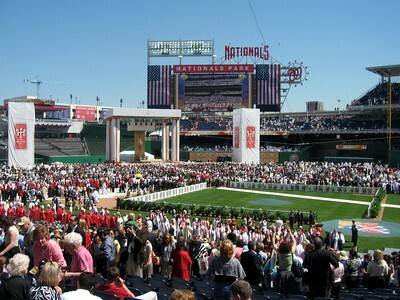 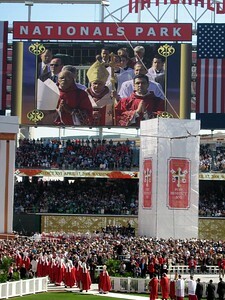 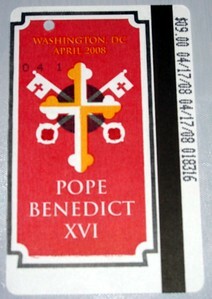 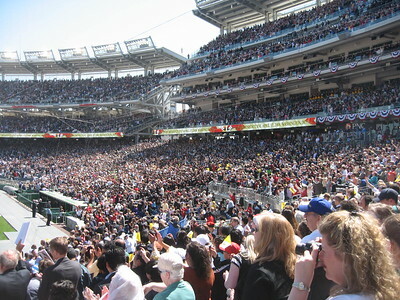 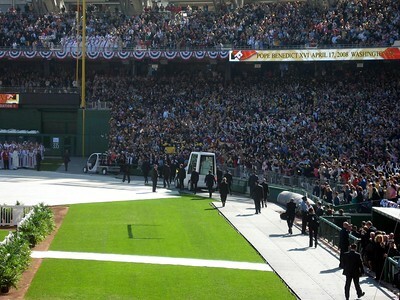 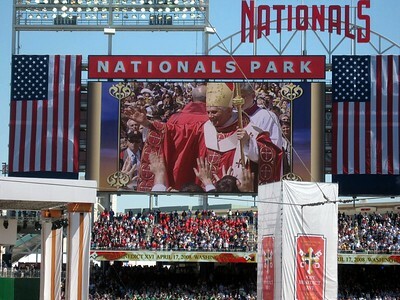 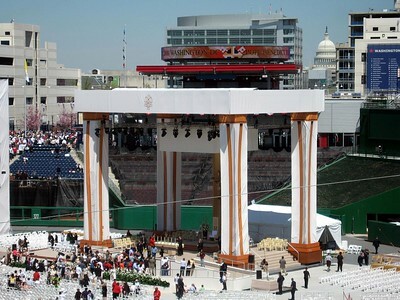 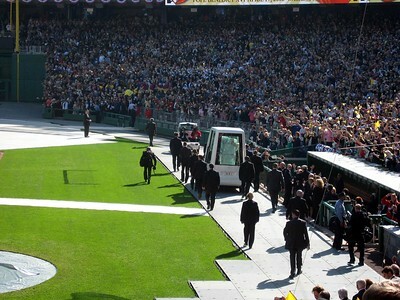 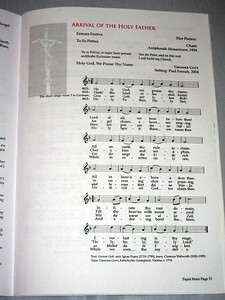 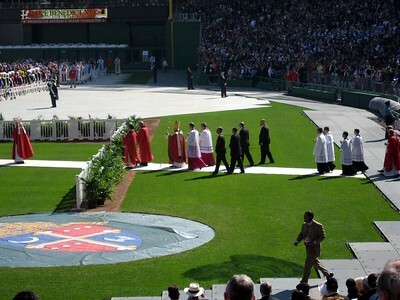 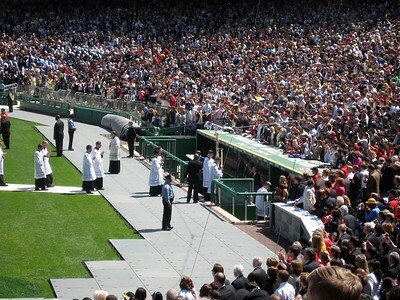 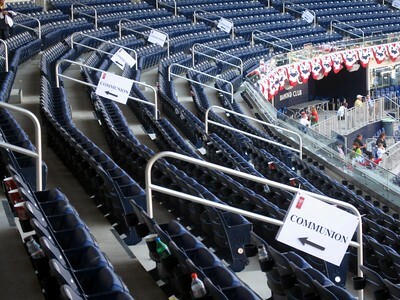 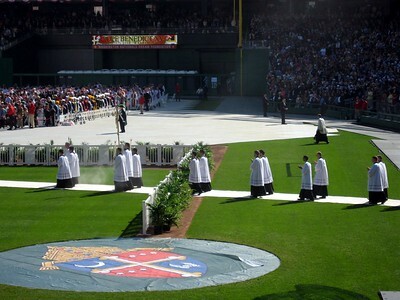 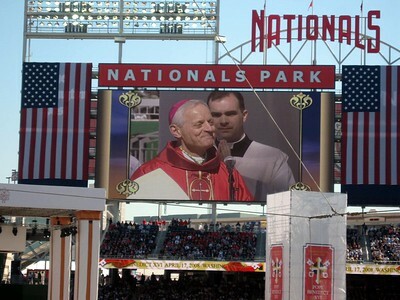 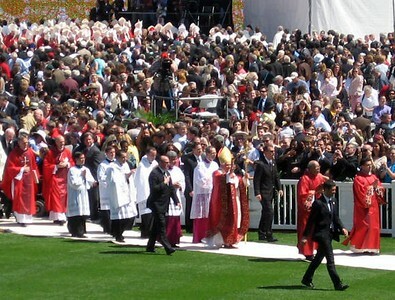 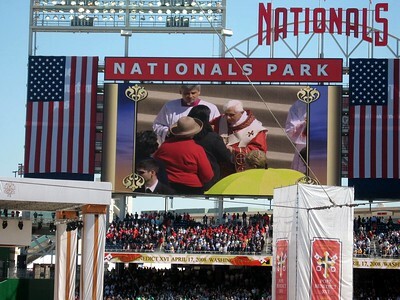 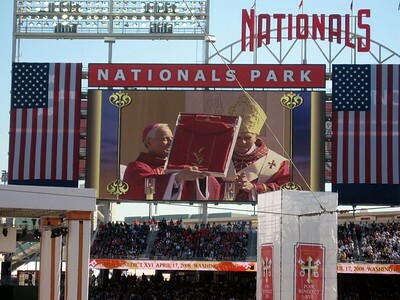 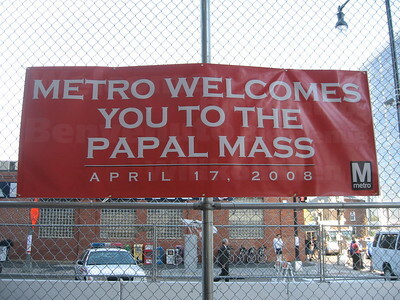 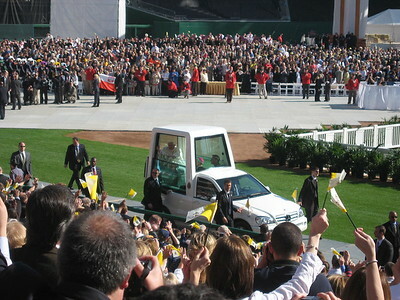 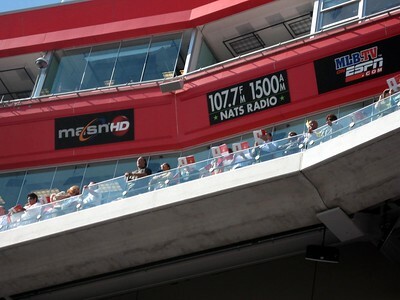 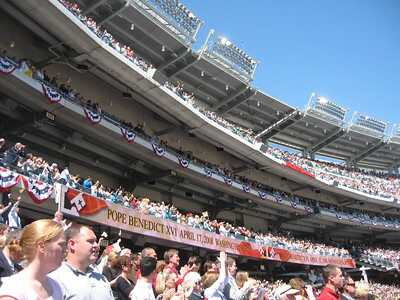 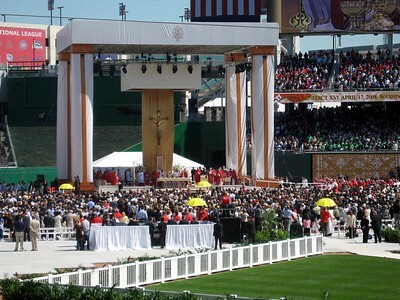 Metro's special one-day "Mass Pass"
The Altar, in centerfield, designed by Catholic University students. 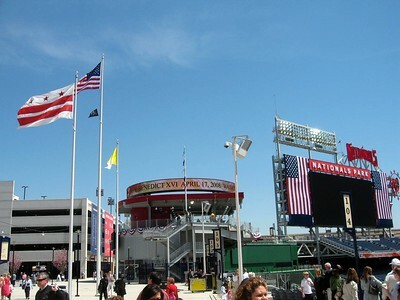 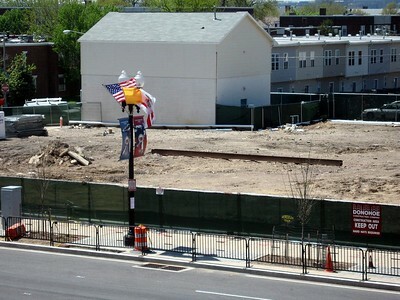 The U. S. Capitol is visible in the background. 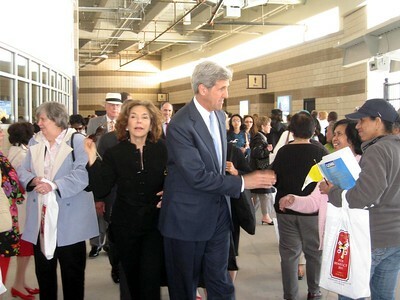 Teresa Heinz and U.S. 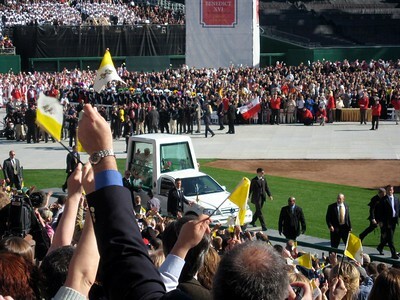 Senator John Kerry leave after the Mass. 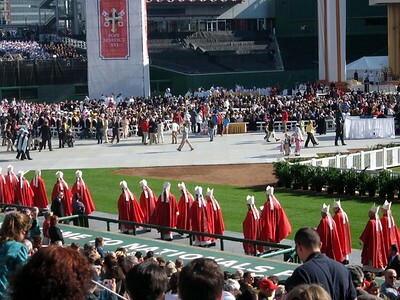 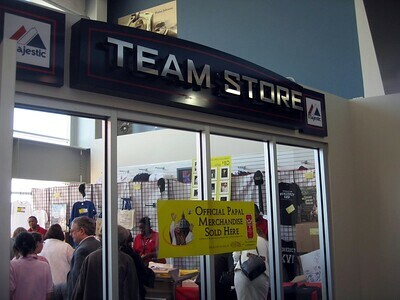 Behind them in the white hat is U.S. 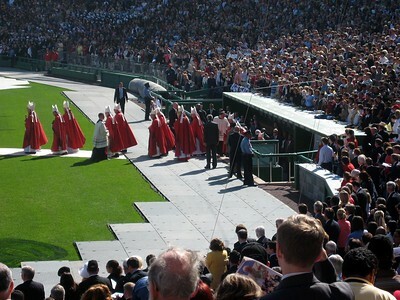 Senator Patrick Leahy.